Trüb has been supplying Lithuania with secure polycarbonate datapages since early 2008, and the success of the partnership thus far has led to a contract renewal. Trüb’s relationship with the Lithuanian Personalization Center of Identity Documents and the Ministry of Internal Affairs began in 2007 after the company underwent a thorough evaluation process. 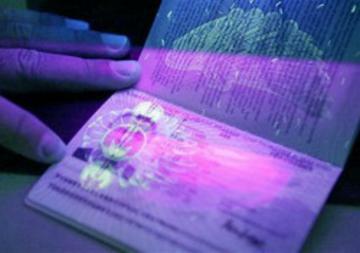 At the center of Trüb’s Lithuanian passport solution is the company’s e-datapage, forged using fused polycarbonate films and laminated without adhesives. The datapage is also outfitted with a variety of integrated security features and optically personalized using laser engraving. The chip housed in the datapage stores personal data, a facial image and two fingerprints of the passport holder. The datapage is attached to a passport booklet using a patented and strong page-binding element designed to withstand 10 years of use. Issuance of this datapage solution began in 2008, and since its introduction the Lithuanian passport— with Trüb’s datapage— has been recognized as one of the most secure documents in the world. The Lithuanian passport booklets are produced locally by UAB Garsu Pasaulis and personalized by the Personalization Center of Identity Documents under the Ministry of Internal Affairs (ADIC).